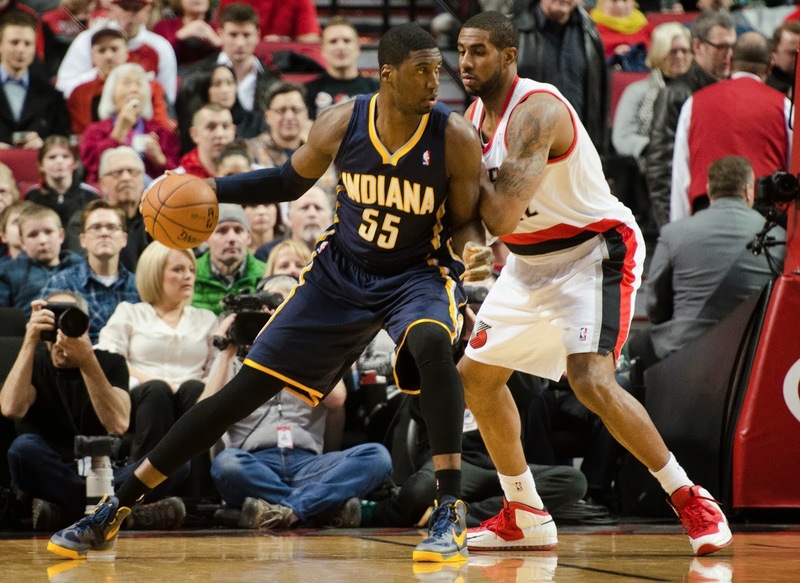 Tru School Sports: A Pacers-Blazers NBA Finals? Imagine That! The Pacers and Blazers currently sit atop the East and Western conferences as two of the most well balanced teams in the NBA. They squared off in Portland on Monday night and the Blazers wound up winning 106-102 in a very entertaining game that saw Paul George hit an unconscious 43 points for a career high. The game was just a footnote to what would occur on Twitter after the game between Pacers big man Roy Hibbert and Portland big man Lamarcus Aldridge. It all started when Lamacus Aldridge went to the rim strong and incidentally hit Roy Hibbert in his unmentionables which prompted this tweet from Hibbert after the game. Lamarcus says he is no dirty player and that it was an accident. Roy Hibbert believes him and says he will see him in the NBA Finals. @aldridge_12 I believe u bro. We both competing hard. Tough post moves. Good luck in the West. We will see each other in the finals. Now, the Pacers and Blazers are playing some awesome basketball at the moment sitting atop both of their respective conferences but the NBA Finals seems a bit far fetched. I for one would love to see it though I'm a fan of a lot of players on both teams. Players such as Damian Lillard, Paul George, David West, Nicholas Batum and Wesley Matthews are guys I always cheer for. What do you guys make of Hibbert's Finals comment?